International Baccalaureate Public Charter Schools in San Diego, California. 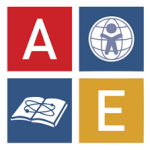 Download the AEA App today! The Albert Einstein Academies mobile app allows you to stay connected to AEA on the go. View Friday messages and other news, quickly find contact information, see whats on the lunch menu and more!